Rich leads the TELUS Ventures team to source, structure and optimize investments of strategic importance to TELUS. TELUS Ventures has been Canada’s most active corporate venture capital fund over last 5 years and Rich was named one of the Top 100 Corporate Venture Capital Investors in the world by Global CVC Magazine in both 2017 and 2018. His board responsibilities include Continuum, Fortius, Moj.io, Right Health, ScaleUP Ventures, Vision Critical and ZenEdge (Sold to Oracle in 2018). 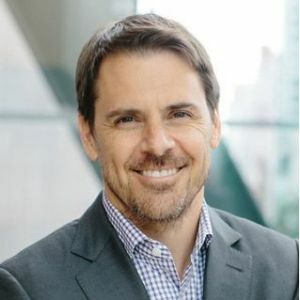 Before joining TELUS Ventures in 2016, Rich was the founder and Managing Partner of RecapHealth a leading venture investor in North American health care companies. Previously he was a Partner in both a mid-market Private Equity fund and a Canadian VC fund investing in US and Canada. He started his career as an entrepreneur building a successful company in the enterprise software sector. Rich is a strong believer in using financial tools to effect positive social change. He is the founder of one of Canada's first social impact funds, BC Social Venture Partners, was an investor in Canada’s health impact bond and acts as an advisor to a number of funds including Deetken and MARS. He is also an Associate at CDL, a Board Member at LifeSciences BC, Age-Well, Alayacare and is an angel investor in over 20 companies across Canada, the US and the UK.